To understand why the blockchain holds so much allure, you first have to understand why it is so fundamentally different from any other preceding system – including the modern Internet. The blockchain is a decentralized, digitized, highly distributed public ledger. This distributed ledger technology might not sound like a breakthrough, but you’d be mistaken. It means that there is no central point of attack for a hacker. Stealing data requires more than just getting access to one database – it means getting access to hundreds, if not thousands, of different copies of that database. Moreover, it means that if even a single “block” of data is changed in any of those databases, the entire system will know. Now, contrast that decentralized, distributed architecture with a centralized, Internet-based architecture. While most people conceive of the Internet as a globally distributed, decentralized architecture, the reality is that, for the purposes of security, the Internet is actually a very centralized data security architecture with multiple points of failure. There is always a known point of entry to any corporation (such as a central server), and there is always one location where the digital assets or transaction data are located (a central database). In many ways, hacking a corporation is like robbing a bank – the security defenses might seem impregnable to a casual bystander, but there is always a front door inside the bank, and once you’re inside the bank, there’s always the bank vault where all the cash is. Thus, you can immediately begin to grasp why blockchain solutions are being embraced by security vendors around the world. 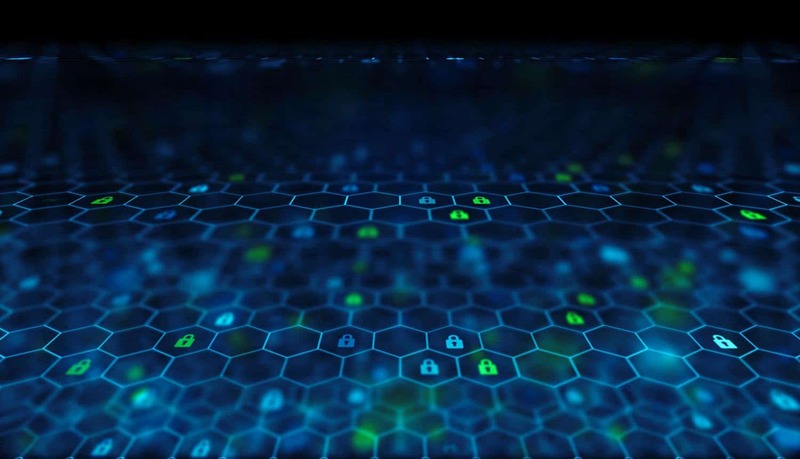 Implementing a blockchain-based security system fundamentally changes the game for cyber security, presenting a nearly impossible task for cyber thieves. Using the bank robber analogy, it would be equivalent to robbing thousands of banks, all at the same time, and not triggering a single alarm mechanism of any kind while doing so. Technically, the feat might be possible – although there has not yet even been a major hack of a blockchain security system. The problem, from the perspective of hackers at least, is that it is really a problem of resources. It’s the reason why nobody has ever hacked Bitcoin, the cryptocurrency powered by public blockchain technology. And, perhaps just as important, the blockchain is removing the human factor in the cyber security equation. Security researchers have long maintained that it is humans (not machines) that are the real weakness of any centralized security architecture.